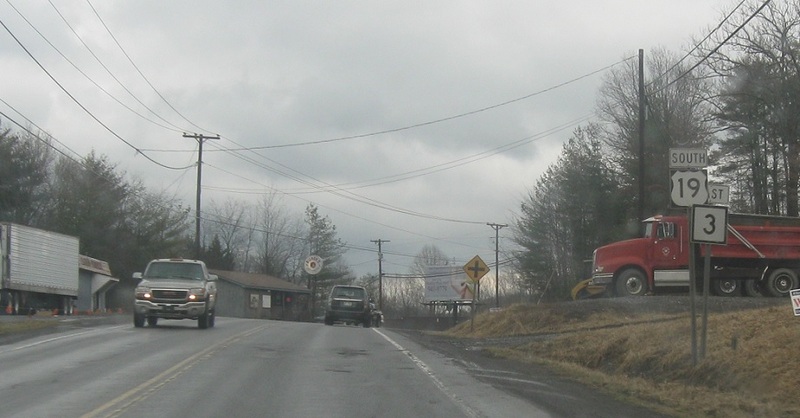 Reassurance shield after Route 307 as we head out of Daniels and into Sandy Spring. 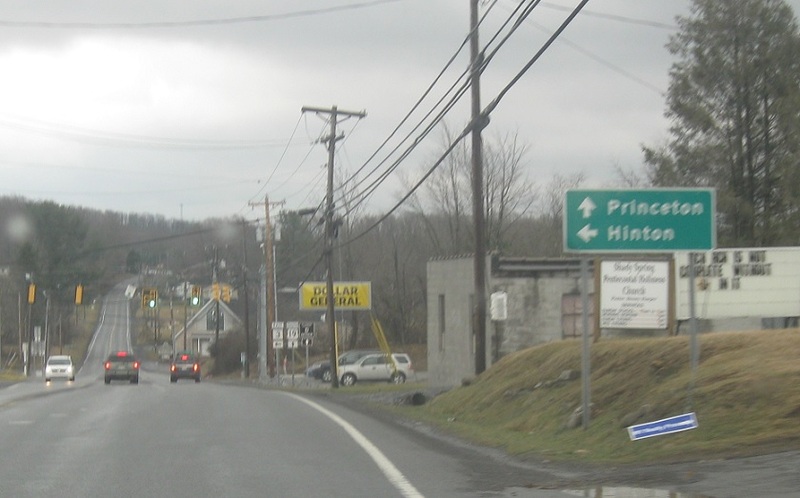 In Sandy Spring, we’ll approach the Route 3 split. Follow 3 east to Hinton. Stay on 19 south for Princeton. 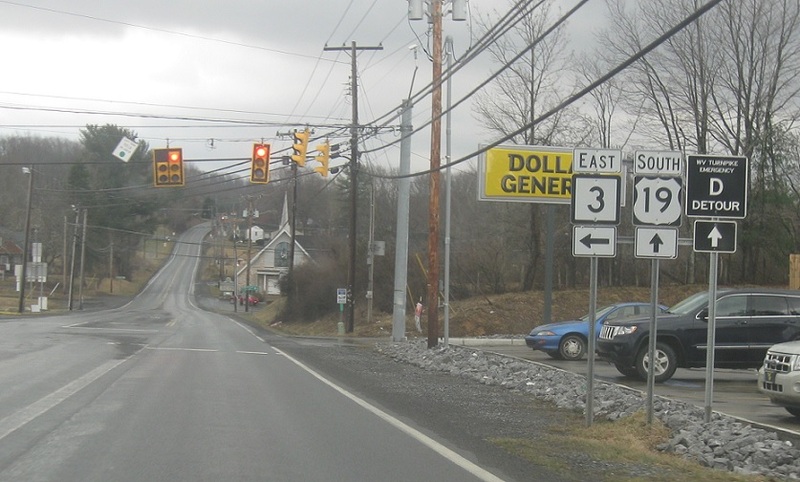 Turn left for 3 east. Stay straight for 19 south.